Since history is written by the victor, it needs a top-notch editor. 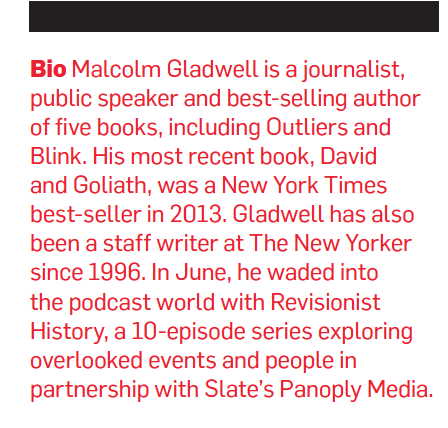 And that's exactly why best-selling author and New Yorker writer Malcolm Gladwell rolled out Revisionist History, a podcast in partnership with Slate's Panoply Media. The 10-episode series that debuted in June aims to shift the lens on events ranging from stolen art to a car manufacturer's fiasco to the American educational system in a bid to poke holes in the way we think about the past and present. With Gladwell at the helm, the podcast was an instant success, reaching the top spot on iTunes even before the first episode aired. 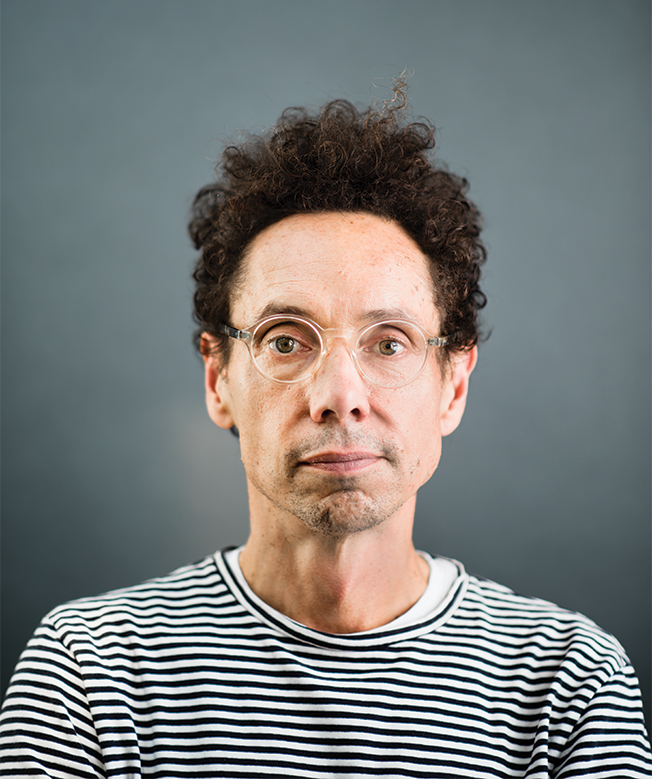 As Gladwell prepares for the second season of Revisionist History, we caught up with him in his West Village home to talk about the power of audio, advertising and what's next. Adweek: Why is a podcast the best medium for the types of stories that you want to tell? Malcolm Gladwell: It's so different from writing books. You can tell a different kind of story, and when you can hear people's voices, you can recreate scenes and emotions and all those kinds of things so much more keenly and powerfully. 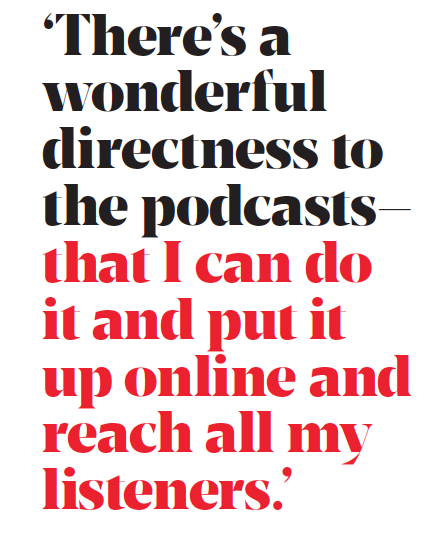 And there's a wonderful directness to the podcasts—that I can do it and put it up online and I can reach all my listeners. There's an immediacy to it that's incredibly appealing. More young people are starting podcasts rather than blogs these days, and it's the fastest growing form of media. What's your take on this? I think you've seen three forms—the printed word, audio and video—you've seen existing conventional institutions being challenged by, essentially, young people working as part of small groups or on their own. The new technologies allow small players to compete in those three worlds. And it's been happening in film for a while now and video. Blogs were the beginnings of that happening in printed form. And for the moment the podcast is the challenge to radio. I think of it as this is the third one to kind of blossom, but they're all doing the same thing. With all the media available today for marketing and advertising, what is the best way to reach your consumers? I don't think there's one way. If I think of the kinds of people who might read or might be consumers of the things I produce, [for instance] there's my mom who it took 45 minutes of instruction from my nephew to explain to her how she could listen to my podcasts. My mom isn't a natural podcast consumer. But a book is fantastic for her. Then there is the New Yorker reader who is accustomed to reading my work in a context of a curated weekly—and that person I may not touch them anywhere else. It depends on who you want to reach and how. I still think that one of the reasons I wanted to do [the podcast] is that if you're going to be relevant in 2016, you have to try to reach people in more than one way because these worlds are getting quite fragmented. You've said that advertisers don't get enough credit. What did you mean by that? It's a degree of difficulty thing. The reason they don't get enough credit is that people aren't factoring in how hard it is to do something in 30 seconds. If you compare—if you give me five minutes to tell a story and you put me up against somebody who has 30 seconds, I'm going to win because I have five minutes, right. But if we're both doing 30 seconds, then we're really—it's a real test on how skillful we are.